I NEED TO...enable my IT service management team. Learn the 5 things you must do to modernise your ITSM, before it's too late. University of Oxford streamlined their operations while solving complex IT challenges. SCL Health diagnosed their processes for a new prescription to proactively mitigate risk from changes. Is your ITSM team drowning? Is your once calm help desk sinking under endless calls for password resets? Are your IT analysts blindsided by unexpected changes to servers in distant sites that increase incident queues? Or, is your legacy service desk system too hard to modify and update without disrupting users? The business has grown, added new staff and sites, and you need a way to reduce calls, implement new processes, deliver services, and support users with systems that help keep you afloat. Admit it, you could use a more modern, flexible ITSM tool that helps you and your team more easily deliver and restore services within agreed service levels. Adapt your ITSM tool through configuration, ensuring easier upgrade and maintenance by your admins without disrupting users. Integrate with IT systems, applications, and data to aid visibility and faster action. Automate processes and tasks to reduce errors and take back time. Free up your IT analysts by offering end users alternative ways to resolve issues and request services from anywhere. 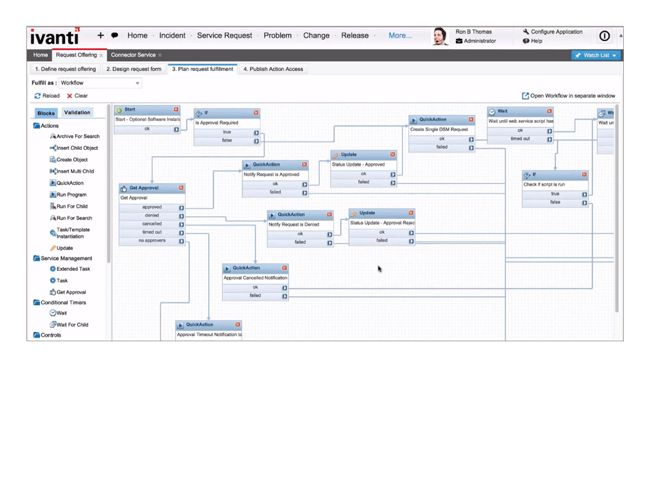 Add ITSM processes beyond incident, such as request, change, knowledge and more. Help IT teams know what action to take and when. Either you need a new IT service management tool or it's time to improve the one you have. Your service management team deserves a solution that puts them in control, speeds up their workflow, and allows them to advance your business and their careers. Ivanti has created solutions to help you do just that, while meeting the needs of the end users who drive your company. Give your IT team the tools and vision to get the job done while keeping an eye on the future. 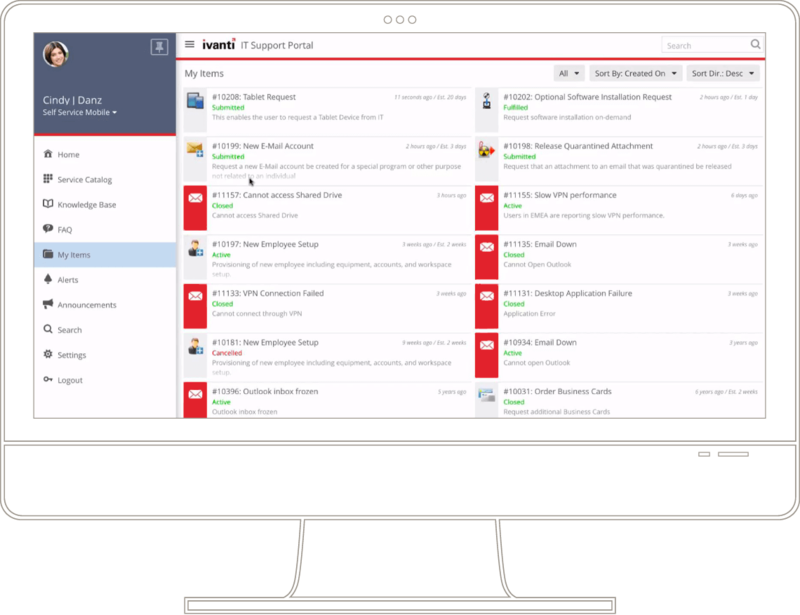 Ivanti's ITSM solutions will increase productivity instantly while helping your team focus on more important, business-critical tasks. Automate processes within your ITSM environment, or across systems, to speed activities like request fulfilment. Enable IT staff to search for knowledge and resolve incidents faster. Create knowledge as a by-product of work, review or approve knowledge prior to publishing, and publish to end users via self service. Customised for first line, second line, problem manager, change manager, and end users. It's all accessible from any major platform, device, and HTML 5 browser.